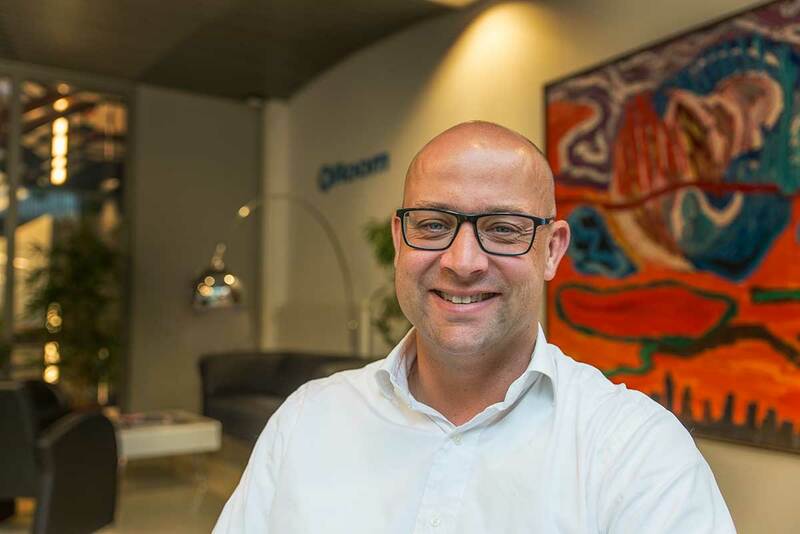 Born out of a passion for digital advertising, the duo, Eric Visser and Harmen Tjaarda have set about doing what they love doing most- combining creativity and technology to create amazing ad experiences. -Joined the Coalition for Better Ads, an industry group that seeks to develop best practice standards for online advertising. What were the main challenges that happened last year that you had to overcome? JustPremium is a dynamically growing company with a worldwide scope. Any prompt expansion poses great opportunities, but also some challenges. For us, one of the biggest challenges for 2017 was to restructure our organization to support the further growth of our company across the globe. Currently, Header Bidding is the technology that can be said to be a game-changer for JustPremium. It connects publishers to our Marketplace and for just four months it has doubled our advertising inventory. We already have approximately 22 publishers on board for header bidding and 22 to join in the coming weeks, and this number is growing by the day. Header Bidding has great benefits for both publishers and advertisers, as well as the industry as a whole. One of the things that we believe needs to become easily accessible in 2018 is data. Technology Vendors and Publishers should join forces to create and share one unique and unified user ID across all platforms in order to compete with the growing power of Google and Facebook. With every World Cup, it’s easy to dissect what didn’t go well when our team is knocked out, and simply overlook what did go well when they won. The media stories of this year’s world cup were often about the super-stars that were expected to shine brightest; Messi, Ronaldo, Neymar and how they faltered, rather than the team performances that prevailed to the later stages. France left Russia as worthy winners, a strong team with strength and depth of experience and heaps of talent. But regardless of who your favourite team is, there is a lot to be learnt from the teams that over-performed to beat expectations with sides bereft of “super-stars”. Probably none more so than England. England’s only world cup victory was over fifty years ago beating West Germany in 1966 and the last time they made it to the World Cup semi-finals was in 1990 – 28 years ago! They have been disastrously failing ever since. Yet this year, despite fielding the youngest and least experienced squad of the 32 teams to make the finals, they made it to the last four- and we can learn a lot from some of the techniques their manager, Gareth Southgate used to inspire this outcome. One of the major topics whirling around this year’s World Cup build-up was why Southgate refrained from picking more experienced players but instead went for younger players, who ‘can be anything they want to be’. He had the confidence in them to predict they might just cause a shock in the World Cup. While other’s were building their tactics and formations around their strongest superstar players, Southgate set to find the right players for the formation and tactics that could win. So, what is the obvious lesson here? In an age where agility and adaptability rule, it’s important to note that instead of hiring purely based on experience, it’s important to look for ones with the potential and a malleability- that you can train to perform as a team. Southgate reasoned that the new squad was not burdened by expectation or prior failures. “We’ve had a generation of hugely experienced players who have just finished, really, in the last two to four years,” Southgate said. He used that potential weakness to his advantage. However, despite the team lacking experience at major tournament’s, he did not. He knew what to expect and how to prepare the team both physically and psychologically. 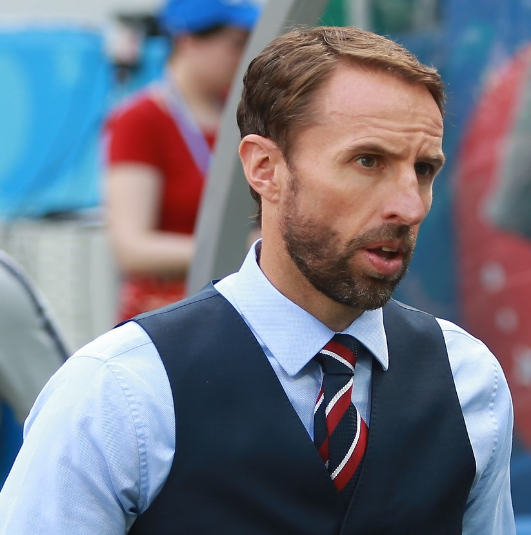 Southgate has had to live with the consequences of missing a penalty in the Semi-Final against Germany at Euro 96 and was determined that his players did not have to suffer similar character assassination by the tabloid press. If Southgate and his team believed that past catastrophes are binding like a contract, they wouldn’t have revived hope of their fans and their country. They didn’t allow failure to dictate its terms and rules. They defied it and made new ones. England’s dismal record and reputation in the World Cup has changed. They are back in the game and faith is being restored. It’s easy to get sucked into the whirling vortex of failure and possibly stay there. But, it boils down to perception and mindset which are not fixed but changeable. “failure is not falling down but refusing to get up”. Likewise, in business, the same principle applies and in fact, according to Dr Ricardo Zozimo, lecturer in entrepreneurship at Lancaster University Management School, failure occurs often and plays a significant role in any entrepreneur’s life. Just take a look at the many great entrepreneurs who bounced back from ‘failure’ to succeed: Sir James Dyson developed 5,126 prototypes that failed before making one that worked- it took him 15 years. JK Rowling’s Harry Potter was turned down by 12 publishers and was picked up by Bloomsbury which eventually sold more than 450 million copies. Thomas Edison could have given up after 3,000 failed attempts to create the long-burning incandescent light bulb. The list is endless. To achieve you have to believe! It boils down to believing. Gareth believed in his team, the philosophy, and the approach before anything else. You can’t start something if you don’t believe in it. Belief is powerful- it’s central to the success of creating anything, including businesses. You can romanticise about a business idea, but if you don’t believe in it, there’s no chance of it seeing the light of day. Belief is one of the most important tools especially if you are a founder/owner of the business. As a business owner, you must believe that your business can and will succeed otherwise you’ll never inspire others to join your mission to make it a reality. Believing is a self-fulfilling prophecy. Studies have shown that self-fulfilling prophecies—The Pygmalion effect– a phenomenon which was first discovered in the classroom by Robert Rosenthal and Jacobson, works wonder on performance. Simply put, the Pygmalion effect is when people perform according to what you believe them to perform which is what Gareth did, and his team performed up to the level that he expected of them. The Pygmalion effect has been observed in several fields and one of the famous and interesting experiments was done in the army. In this experiment, 105 soldiers were given an assignment in a 15-week course. Before the programme started, the instructors were given a list of trainees. However, each soldier had either a “high”, “regular” or “unknown” ranking, regardless of their actual ranking. The study indicated that a soldier’s performance was improved by the expectations of the trainers: those soldiers who were ranked “high” outperformed everyone, while those who were ranked “average” scored the lowest and the group without any rank ended up in the middle. The difference in performance between the best and the worst group was 15 per cent. This is a testament that our beliefs have the power to change our reality; what we believe can become true. There’s no better way to inspire greatness than to lead by example and that’s what Gareth did. Even though the current England team wasn’t rated as highly as previous teams, the firm confidence that Southgate instilled in them was able to move mountains. The team achieved against the odds to surpass a nation’s expectations. When leading by example, they earn respect. When leaders act and work in an ethical way, they model the character they want to see in others and that earns them the respect. According to Handal, those leaders who are seen and thought of as not “walking their talk” typically don’t get very far. It’s hard not to admire a leader who managed to reverse his team’s fortunes in their favour by turning a position of what appeared to be a disadvantage, lack of experience and youth, into one of advantage. At VenturesOne we keen to connect with great leaders of small and hungry teams who are keen to upset the competition with new innovative business models. If that sounds like you, please get in touch. What are the success factors for a start-up? Entrepreneurship isn’t just a concept that we romanticise, it’s hard work, let’s be honest. It may be a magnificent combination of excitement and promise but behind every successful start-up, there’s a team that’s vigilant and ready to respond to surprise and challenges, to bring their big ideas to life. Like a new-born, a start-up requires commitment and care. In an age where ideas abound, it’s one thing to generate a great idea, it’s another thing to build a viable business! When building a company, much of your time and energy will be spent organising and managing everything from product, team, cost, marketing, branding, customer service, office location, overhead cost etc. It’s tricky to get these things together smoothly and efficiently without any mishaps. Where do you begin when everything demands your attention right down to the last detail? You’ll need to start by focusing on the most important things– but don’t get overwhelmed. Sounds exhausting but when you start reaping the fruit of your labour, all the pangs of building will have been long forgotten by then. Above all, begin with the END in mind. Stephen Covey, a renowned author, educator and businessman, in his bestseller, The 7 Habits of Highly Effective People devotes the second habit to this simplistic yet powerful approach to business. When running a race, for instance, if you start with the idea of finishing and winning, your instinct will push you no matter how tired and despaired you are. It’s a basic instinct that takes charge almost instantaneously. You know that at the end of the race, you’ll attain a sense of personal achievement. That gratification which follows the achievement through your own efforts provides you with intrinsic rewards. Simply put, a system of neural pathways and chemicals generates a feeling of pleasure every time you accomplish. Beginning with the END in mind propels you in the direction that you need to go and helps you navigate your way to success. The ability to visualise where you want to go empowers you to reach where you want to be. Another metaphor for starting a business is the process of building a house- just as a blueprint provides a visual representation of an unbuilt building, so too a vision provides a picture of a new venture. Having said that, a vision is only as valuable as its ability to be implemented. So, make sure you combine your great idea with a clear vision of what it is you are trying to achieve, and a framework of how to achieve it with the skillset to properly execute it. This will help you get off to a flying start. Capital is a prerequisite for your start-up to grow. As a young company, you need to understand where the initial source of capital will come from to fund operations and development of an “MVP” or Minimum Viable Product. A business in its infancy will require sufficient financial fuel to keep it going and survive until the venture is making money of its own. In addition, it is imperative not to forget your own means. 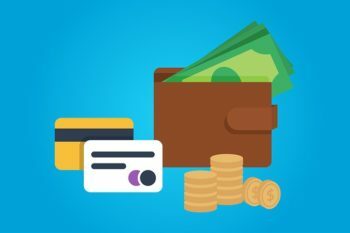 It is all well and good to have a business with a spot-on cash flow but if you can’t afford to pay your own rent, the business will have no one to helm it. Make fundraising your priority and not something you put on the back burner. When you’re comfortably funded, it pushes your chances of success by fending off the biggest threat of any business- Capital Risk. However, a note of caution: Over-funding is just as bad as Under-funding. Over-funding can have a negative effect on the decision-making process, especially for a young company. A market/product fit is one of the important success factor. The ‘fit’ is that perfect meeting point between what you offer and what the market needs/wants. The product/market fit is a great “mental model” for the interaction between businesses and consumers and understanding more about it enables you to observe, notice and explore new ways to create value for your customers. According to Andrew Chen, general partner at Andreessen Horowitz, once your product is out in the market, there are ways you can test to see if there’s good ‘fit’ or not. 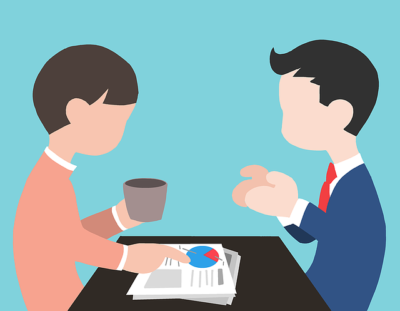 #When user testing, do people group your product in with the “right” competitive products? #Do they understand the differentiation of your product versus your competitors? #Will some segment of users in the overall market switch to your product? #Are some users who’ve “rejected” the products in the market willing to try your product? #How do your underlying metrics (DAU/MAU, +1 week retention, etc.) compare to your competitors? If the answers to the above questions are affirmative, then making assumptions about the product/market fit is perfectly reasonable. 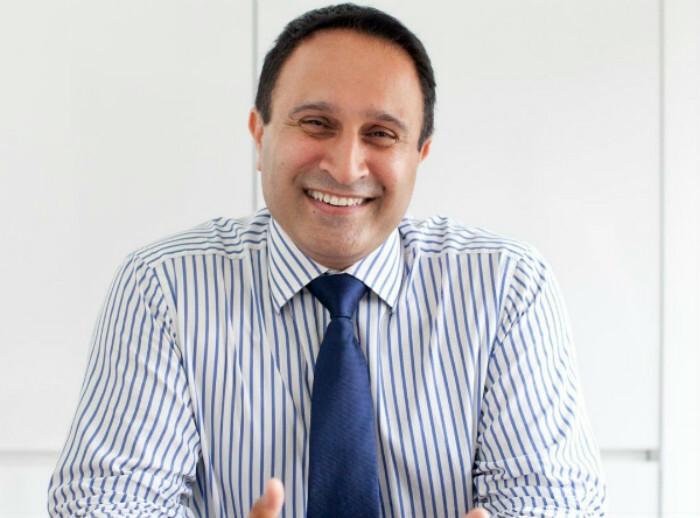 Achieving the ‘fit’ allows for traction of revenue growth that will attract more capital. Those who hold the reins of the company play a pivotal role in driving the business in the right direction as they hold the key to a vast opportunity to advance the business. Ask any VC what they look for when investing and most will answer No 1 as ‘great team’. A successful leader is one who is willing to ‘learn and adapt’. This leadership quality has come to the fore and is regarded to be one of the defining factors of successful entrepreneurs. Unsurprisingly, any successful and influential trailblazer from Gordon Ramsey, Richard Branson to Steve Jobs, just to name a few, will tell you that it’s all in the details. Having an incredible idea is incredible, but “big ideas are only as powerful as the details behind them.”- Jayson DeMers. Last but not the least…… Steve Jobs called it “more powerful than intellect.” Albert Einstein called it the sacred gift. So, what’s the point? The point is that, if we can naturally come up with good ideas, invent and innovate then we also naturally have ‘pointers’ that direct and guide us. These are just a few pointers to help start-ups on their journey in creating successful ventures. The launch of any great business will never be without trials and tribulations and remember that beginning with the end in mind is one of the trademarks of great leadership. If you have any queries, comments, suggestions or want to know more about subjects surrounding start-up, please write to us. We’d love to hear from you! After more than a year of development, Saltrex was officially launched in March 2017. A former lawyer, Michael Hajdasinski used his extensive experience and intellectual form to take up the mantle of leadership of his venture, Saltrex. Saltrex’s core philosophy is built around trust, simplicity, transparency, safety and compliance. It was developed by incorporating all these principles which makes Saltrex the first secure, compliant and independent B2B auction platform for the international trading, shipping and insurance industry. With sustainability at the heart of the business, their policy of “no goods should go to waste” is the driving factor for making such goods, the market for which is generally not widely known, available to interested parties. Saltrex upped its security measures by forging a partnership with Netverify for the identity verification process to meet the ‘Know Your Customer (KYC)’ and ‘Anti-Money Laundering (AML)’ compliance requirements. Though a niche market, Saltrex has not only grown in strength but in operation and credibility. Michael Hajdasinski is here to briefly share his real-life experience and thoughts on building his business. We officially started our Business in 2017 and our very first auction went live in March 2017. One of the biggest challenges we face is the regulation on waste. Waste is a sensitive topic. The classification of waste is an especially significant challenge due to several regulatory frameworks, such as the EU or OECD frameworks, that all must be considered. Without proper classification of the waste, the project cannot succeed. Since we are trying to build a system in which both waste specialists and generalists (such as cargo surveyors) will be able to easily determine the correct codes that adhere to the regulations, this, so far have proved quite challenging. We thought that registering buyers and sellers will only happen online but 80% of our database still feels more confident to register their company by offering them an offline registration form when registering online. 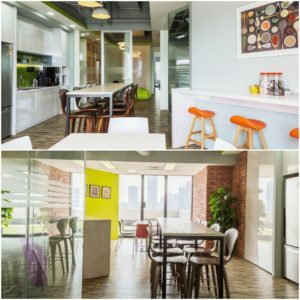 What works is having a wide variety of commodities and a large network of active buyers as well as maintaining low fees for buyers and sellers. We sometimes take nature for granted, but the rule of “survival of the fittest” applies just as much to business as it does to the wilderness. Gripping documentaries from “Blue Planet” to “Life” showcase that we have a lot to learn from our natural environment. We’ve all watched nature programmes at one time or another and we can’t help but notice that moment of smugness after the big cats make that precise-and-seamless-catch– it’s almost as if they’re grinning. Well, why not? They aced it. Business is becoming more about speed, agility and strategy, and who embodies all three naturally, if not the BIG CATS themselves? So, forget Shark Tank, here are a few lessons you can spirit away directly from the plains of the Maasai Mara to help you stay ahead of the game. Although big cats are the undisputed top predator, known to challenge strong opposition with fearlessness, their unforgiving environment doesn’t make it easy for them. If there’s one thing we can learn from these killing machines, it’s that strategy is paramount, whether it’s as an individual or in group ventures. 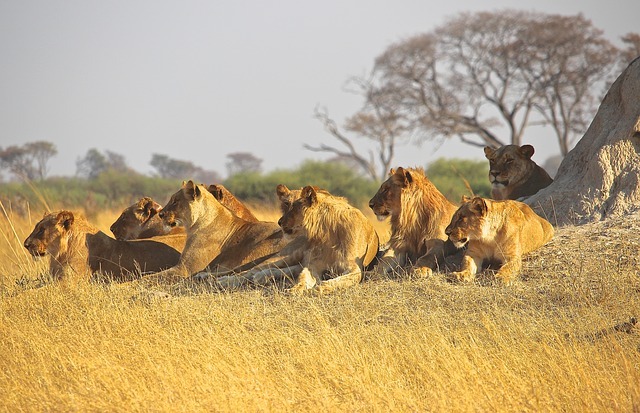 In group hunts, lionesses typically begin with a formation and they take seven different stalking roles which fall into ‘Left-Wing, Centre and Right-Wing positions’. 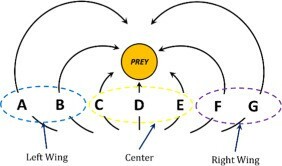 The lionesses that take the wing positions often start the attack on the prey, while lionesses in the centre positions stay hidden until those in the wings position drive the prey their way, often leaving them no avenue of escape. This cooperative hunting style has a high probability of success. Group hunts are carefully orchestrated events. The pride has a clear vision on how they aim to take on their prey, executing their killer STRATEGIC move to achieve their desired outcome whilst being flexible and adaptable to changing circumstances (more on that in a second). This style of hunting, which requires coordinated stalking, positioning and pursuit, cannot possibly succeed without adhering to this process. The same rings true in business: vision must always come first. The vision paves the way for the strategy, and with a clearly defined framework of how to achieve that, a business can confidently set along the strategic path that is aligned with its goals. Say, what does a traveller need before planning the best routes? A map. A vision acts as a map that helps the traveller chart his way through unfamiliar terrain. It shows the important roads and highways that cross the region, towns, villages and the surrounding landscape. Without such information, the traveller will easily lose his way. However, it is utterly pointless to have a plan and but not execute it because, at the end of the day, a vision and strategy alone cannot help you. “Without execution, ‘vision’ is just another word for hallucination.” – Mark V. Hurd. A good strategy only comes into play when a business allows its vulnerability to be stripped and searched; allowing gaps to be identified. Looking for ways to win can only result from an openness that one is not invincible. Strategies can help look at the past and the present to approach the future. To survive and grow in the business world, resources, products and services alone are not enough to win- after all a business environment is just as unforgiving as the Serengeti plains. 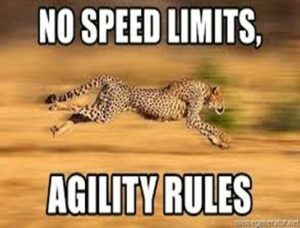 Agility follows strategy very closely in terms of importance because, without it, it’d be like driving a fast car without gears and breaks. So, let’s look at the Cheetah. They have speed on their side, reaching 110 – 120 km/h, yet that alone is not sufficient to keep them ahead of the game. They still need to add another subtler element to their hunting strategy. For the fastest land animal to hunt successfully, it will need more than speed. A team of researchers observed five wild cheetahs in northern Botswana and discovered that despite reaching top speeds of nearly 60 mph (97 km/h), they rely on agility rather than fully relying on their breakneck strides to hunt down their prey. Alan Wilson, a professor in the department of comparative biomedical sciences at The Royal Veterinary College in the United Kingdom said that what was more remarkable was the manoeuvrability and acceleration that they displayed. Astonishing as it may sound, he also said that cheetahs do about half their top speed when they hunt, so they’re not moving extremely quickly. The problem with agility is that it’s easy to understand it, it’s incredibly hard to practise it. The reason being rigidity is one of human’s fatal flaws. The reality is, bends and corners are inevitable and the ability to move around them is key to avoiding a disastrous break. For businesses to succeed, they will need more than a good product or technology- they will need that extra ability to change and adapt swiftly with ease. We live in an age of change which is happening at warp speed and opportunities are going to be seized only by those who are ready and capable of adapting and moving with the changing tide. Responsiveness to change has a significant impact on the future of any business. More on this by way of illustration in our previous article. Organisational agility: businesses that are structurally agile tend to show a degree of organisational intelligence which is the ability to “create knowledge and use it to strategically adapt to its environment or marketplace”. Agility is key to finding a happy medium between a centralised and decentralised structure. Lionesses are powerful hunters. A lioness can weigh up to 158 kilograms at maximum and can reach speeds of 81 km/h. Although they have the capacity to hunt on their own yet they choose to hunt in a group. We can turn to these untamed creatures for lessons in collaboration, contribution and coordination, but how they manage to communicate their common goal so well is beyond us. Each member in the hunting group has a specific role, knows what to do and delivers without conflict. The point is that every lioness understands that commitment and alignment are critical. A team that works together is stronger because what one member lacks, another steps up to make up for it. When we operate in a great team, contributing and allowing others to contribute, we are more likely to succeed. If you think business is a one-man show, then be prepared to be wiped out, there’s only so much one can do. The first step to building any successful business is to build a great team. No matter how wonderfully gifted an entrepreneur is, the secret lies in the ability to share the vision, train and inspire a team that can help take the business to new heights. While we’re busy looking for inspiration from fellow humans, our wilder neighbours have much more to offer. The above points are just a glimpse of a fascinating world that prove that they have plenty of tricks up their paws. 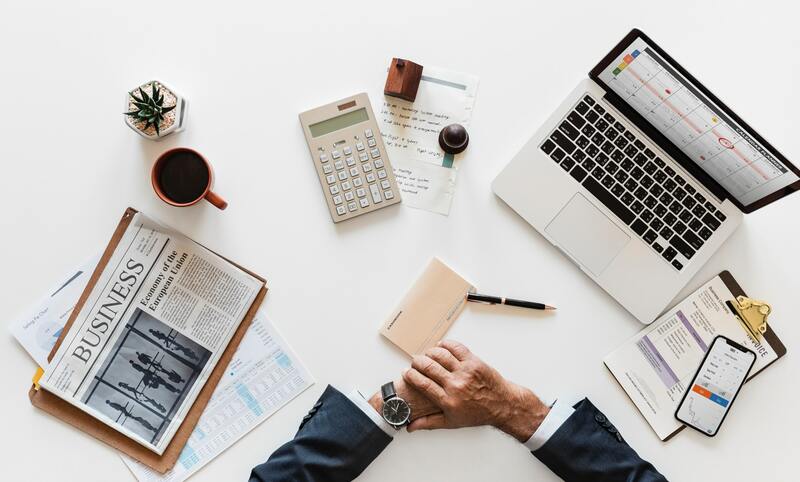 Approaching a VC can seem a little daunting at first, so here is our quick primer for entrepreneurs who are setting out to raise funds for a start-up business. Now owned by Microsoft, LinkedIn is a treasure-trove for business opportunities and a platform to find investors. It boasts over 467 million members worldwide according to the stats from Statistica. It is the number one preferred channel for business connections. Simply put- it is a reservoir of potential investor contacts. VCs are typically inundated with daily requests from start-up founders on LinkedIn, so quickly establishing trust and credibility is crucial when approaching them. A good profile goes a long way towards bringing you closer to your goal so make sure you have all the hygiene factors in place. For example, a professional looking headshot as a profile picture rather than your company logo, it sounds obvious but many people fail at this first simple hurdle. Avoid using boastful statements in your profile that you can’t back up with evidence as this will send alarm bells ringing. You want to appear confident rather than arrogant. Ask for some feedback on your profile from trusted contacts first before you go crazy with the connect button. It will pay off! First things first, remember the purpose of pitching your business to a VC is not just to get some M-O-N-E-Y. VC’s are of course looking for great businesses that will deliver exceptional returns but the process isn’t transactional. Professional investors build long-term relationships with Founders so, enter with the mindset of creating a fruitful journey together and a mutually beneficial partnership. Marriage is not something that should be entered into lightly and you will be (effectively) married to your investor, so choose wisely! Before you contact any VC, check if you have any second- or third-degree connections who work at VC firms and request them if they can introduce you to the VC you want to approach as this will get you to the next level, a lot quicker. An introduction through a mutual contact can certainly launch you to a preferred position on the email mud pile. And if you’re not connected at all, don’t fret. You can still initiate a contact. One page teaser pdf– a high-level overview of the business outlining market opportunity and how you are uniquely positioned to take advantage of this. Ensure you outline how much you are raising and what you need it for and think about how you can get a VC excited to know more. VC’s are often visual orientated so think about how you can avoid large amounts of text and use charts etc effectively. Investor Slide Deck – Approx 10-20 slides that provide all the details on your team, value proposition, business model, product secret-sauce and projected returns etc. There are some great examples out there so do some research and ensure your deck is polished. Financial Projections – This excel document will be how you arrived at the revenue and profit projections in the Investor Deck and should show past performance by year along with 3-5 years of the forecast. A VC will likely want to dive into these numbers to test your assumptions and in doing so understand how realistic your forecast is. HOLD YOUR FIRE– Do not bombard a VC with all these docs at once. The focus is on getting face time to build rapport but having these documents ready to go will prevent you having to stall while you rush to make them. Study the VC firm you are trying to reach and try to find out who the ‘right’ person you need to be in touch with. Most VCs are active on LinkedIn, sharing their stories and insights so, take the time to scour their profiles, posts and portfolio companies to understand their investment approach. Since most VCs will outline their areas of investment interest like Fintech, Telecom, Retail, Tech etc, and the stage they invest (Seed, Series A etc) this helps in sifting through the options. Every VC will have their own approach and investment thesis. 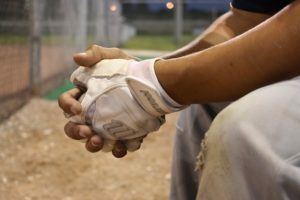 Make sure you decide whether your pitch is data driven or concept focused. 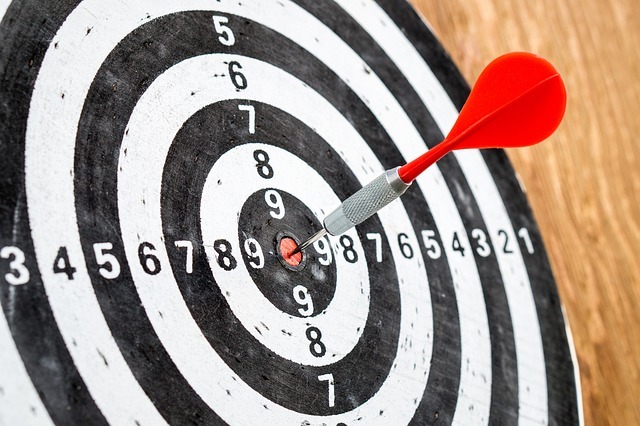 If it’s a data pitch (which means you have traction, customers, revenue etc) you’ll need to highlight the ‘good data’ and if it’s a concept one, be sure to highlight your ‘vision’ and how you plan to achieve it. This wealth of information gives you the privileged access to knowledge that will enable you to engage with the right VC. Use this info wisely because we only get one chance to make a first impression. ALWAYS send a personalised connection request. A VC is likely to reject you if you don’t. Put in that extra effort to frame a personalised message, because when someone is swamped with requests every day, it is very easy to bypass messages that aren’t focused. Never think for one second that longer is better. Remember that you’re not going to collect your venture-capital funding from your first message but it may land you a meeting or call. Hence, your first introductory message should be short but compelling enough to make way for the second stage. Once your connection is accepted a quick thank you and a well-worded intro with your one-page teaser doc should be enough. If your messages are met with radio silence, be sure that we’ve had our nose to the grindstone. Just as Rome wasn’t built in a day, so are partnerships. Build relationships with VCs even if they didn’t invest. Don’t be disheartened instead, learn from every interaction. 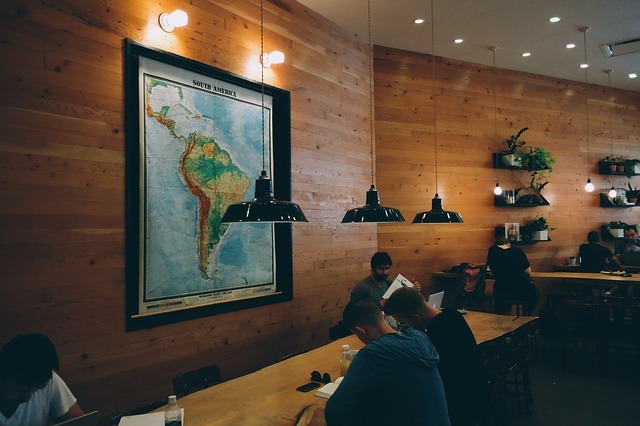 Nurture the relationship and stay on their radar as it can potentially lead to something else like a referral to other potential investors because, remember, VCs have significant networks of influential industry leaders. 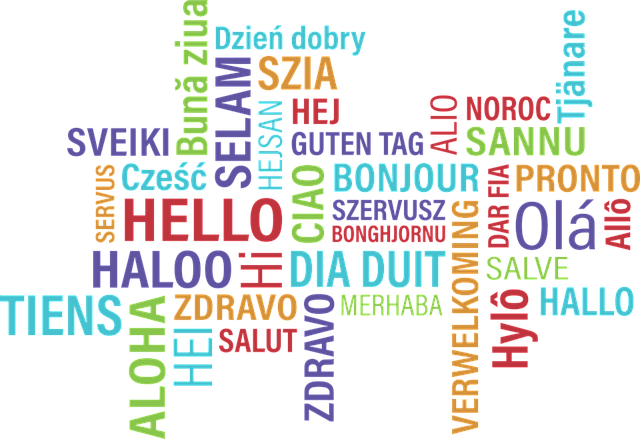 We, at VenturesOne, are always keen to hear from you and if there are specific topics you would like us to cover, please feel free to connect with us. If you find this useful, please share! Steve Jobs, Co-founder of Apple Computer Inc. strongly believed in “Stay hungry, stay foolish”. Entrepreneurs are ones who make the big JUMP. It is their nature to go beyond when others don’t. Complacency is the biggest enemy of progress which will eventually cause you to FALL behind. Stay hungry is to remain curious to learn more, explore more and accomplish more. Staying foolish is an attitude which is just as important as staying hungry. It is that extra nudge that helps you pursue your wildest aspiration with grit and fervour- even if the world thinks it’s foolish. The very attitude that landed Chesky at number #8 on the list of the world’s wealthiest entrepreneurs under 40, according to Forbes. The attitude of pursuing his ambitions even though the world viewed air mattresses on living rooms to be the next hotel room as utterly foolish. This attitude of staying hungry and foolish is what an entrepreneur needs to leave a legacy behind. Reid Hoffman, co-founder and former CEO of LinkedIn, said, “The fastest way to change yourself is to hang out with people who are already the way you want to be.” We couldn’t agree with this more. What can we pick up from the master of deduction himself? Most successful entrepreneurs have made radical decisions, from Bill Gates, Mark Zuckerberg and to the late Steve Jobs. Those decisions were considered crazy at the time and yet today they seem obvious. And yes, it can’t get crazier than a car in orbit around Earth. When Elon Musk “doubled down” on Tesla by putting in $35 million in cash, his calculated move paid off because Tesla is now worth $2.5 billion and the company continues to track upwards. Decision. Yes, it boils down to decisions. Let’s turn to SCIENCE for a definition. Starting a business is just the beginning of many decisions. Entrepreneurs must constantly decide, whether big or small. Overwhelmed by the burden of making countless decisions, sometimes it’s easy to fall into the trap of shorter and easier alternative routes. However, this can lead to what is known in psychology as heuristics or mental shortcuts to make decisions. For the sake of convenience and speed, we use mental shortcuts in making simple decisions as they do not use as much cognitive resources. Is there a model for making better decisions? 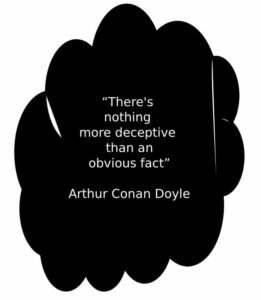 Well, we can’t escape the best exemplar of rational science as he strings along its logic and method in making ace decisions- none other than Holmes, Sherlock Holmes. So, what can we possibly draw from a detective? Well, he runs a unique business as a consulting detective, doesn’t he? One of the Holmesian line’s, “You see, but you do not observe. The distinction is clear”, remains a classic. 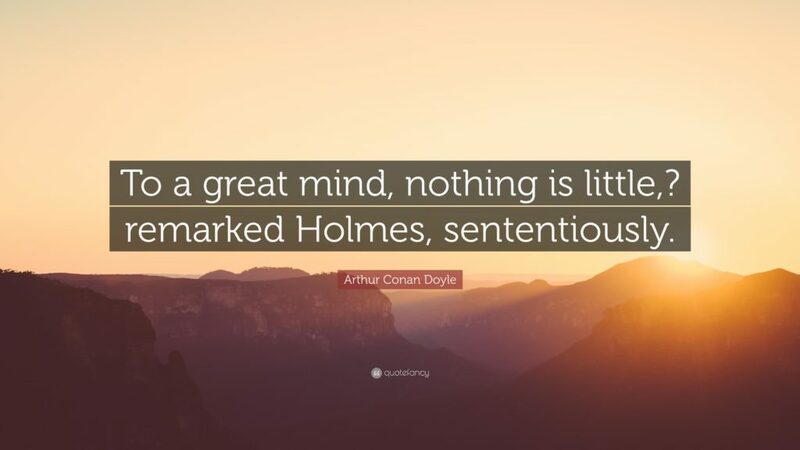 This is one of his famous quotes as he makes a supersonic series of brilliant deductions. His tactic is simple – observe, deduce and when the impossible has been eliminated, whatever remains, even if it seems improbable, must be the truth. This is especially true when dealing with swiftly evolving markets and technologies. The ability to observe rather than just see can help entrepreneurs spot a gap in the market and exploit opportunities offered by technological innovation, where others may be blind to the vision. Entrepreneurs who rely on their abilities to observe, seize, and innovate will stay ahead of the competition. Illustration: The story of Airbnb. In 2007, when Brian Chesky and Joe Gebbia, both 27, had just moved to San Francisco. They were struggling to pay their rent and were looking for a way to earn extra money. When a design conference came to San Francisco, they noticed that all hotel rooms in the city were booked. They decided to rent out three airbeds on their living-room floor and the promise of a breakfast. They created airbedandbreakfast.com which attracted their first guests. ‘As we were waving these people goodbye Joe and I looked at each other and thought, there’s got to be a bigger idea here,’Chesky said. It wasn’t their primitive instinct, which is only useful for survival: food, shelter and defence, that propelled them in that direction. It was more. They observed a problem, got creative, followed through despite multiple rejections from VCs who didn’t see air mattresses on living rooms as the next hotel room. Broke but not broken, the duo even turned to selling cereal. 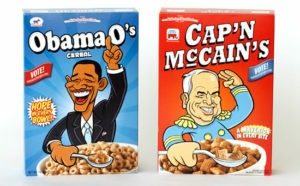 With their special designed Obama O’s and Cap’n McCains boxes, their bootstrapped marketing idea fetched them $30,000 to support their company. Their decision was born out of their ability to observe and that allowed them to disrupt the multi-billion-dollar hospitality industry. What’s distinctive about Holmes is that he never succumbed to the snare of ‘easy facts’. His infamous line, “To the curious incident of the dog in the night-time” taken from The Adventure of Silver Blaze” perfectly sums up negative evidence. Sherlock looked for the most unobvious clue in successfully solving the murder mystery. Illustration: Think Blockbuster. It was founded in 1985 and was one of the biggest names in the video rental space. In 2004, Blockbuster employed 84,300 people worldwide and had 9,094 stores. However, come 2010, Blockbuster filed for bankruptcy. They failed to embrace the digital model. Although its demise can’t be attributed to digital alone, but yes, it was one of the main reasons. When Netflix made an offer to sell their company to Blockbuster for US$50 million, the Blockbuster showed zilch interest. Fast forward to 2017, Netflix posted $11.7 billion in revenue and the CEO said that company will see $15 billion in revenue in 2018. 15 years of glory and success prevented them from seeing the need to change something that was working perfectly. The unobvious fact was the unseen change. They failed to anticipate the sea change. Even though they had an opportunity to be part of the wave, they blew it. When they realised that the tide had changed, it was too late- they were already drowning in its current. To thrive in an ever-changing world, you must keep both eyes and ears open, free yourself from emotions and past successes and observe the world dispassionately and objectively. 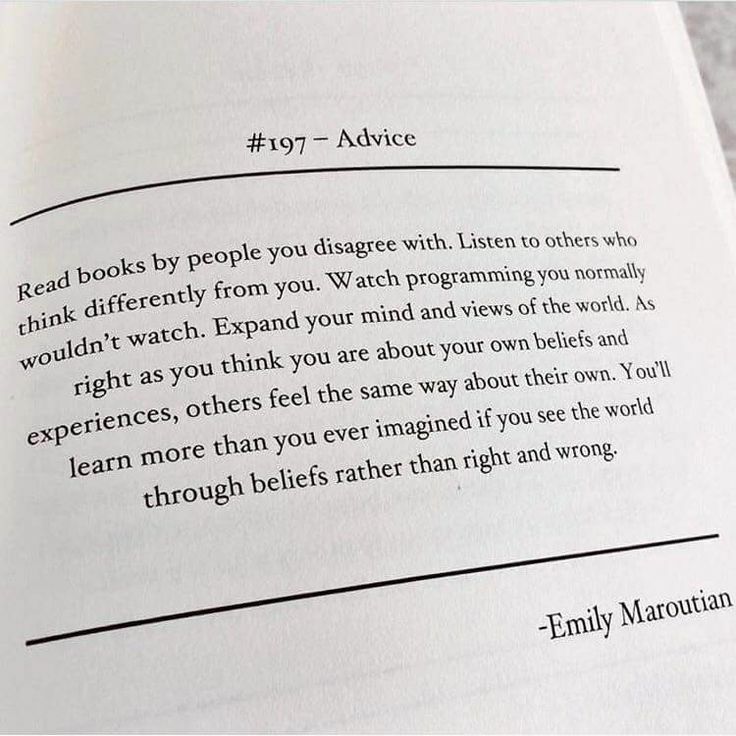 One of the biggest pitfalls in human nature is the natural tendency to think we are always right, ignore evidence that contradicts our beliefs and only accept evidence that supports them. Peter Wason, an English psychologist, calls it the Confirmation bias. It is one of the deadly sins- a treacherous human inclination to confirm our own pre-existing beliefs and views. It is not only deceptive but it cripples the critical decision-making process. It overlooks all insights from data but instead focuses only on ones that produce ‘facts’ to suit the prevailing conclusions- a fatal flaw. Illustration: Kodak is the best example of confirmation bias. They ignored the advent of digital age because if they had made themselves invincible for a hundred years, so they thought why heed the warnings? Disruption is an opportunity and not a threat. Even if they had seen it as a threat, they would have at least followed the signs and made decisions in a more prescient way. The digital disruption could have opened new paths for Kodak. In fact, it would’ve been easier for them since they had the finances, resources, competencies and were already ‘in the market’. It was just a matter of renewing their approach to the new market. To survive you must free yourself from the clutches of confirmation bias that blinds you to the reality of change. First things first, acknowledge that The Only Thing That Is Constant Is Change. We cannot see the future with your eyes closed and our ears shut. 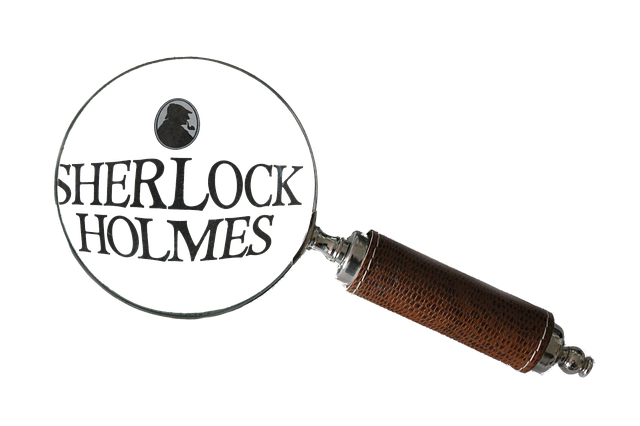 These are just a few takeaways from Holmes’ genius methods of arriving at a conclusion. Sherlock will be as pleased as punch to know that our economy is moving closer and closer toward a complete data-driven decision rather than beliefs. Well, assuming that data is used intelligently for it to be of any use. We need to replace heuristics with clever data. Data is power and that power can be used to help make better decisions and distinguish between a working and a non-working plan. Data is what it is. It provides objective answers that allow us to make informed decisions – we can finally stop guessing. And because entrepreneurship is like skating on thin ice- every turn, every dime, every resource, every second and every decision matters.